Click the following link to download a Form W-9 From AmeriTech Inc. 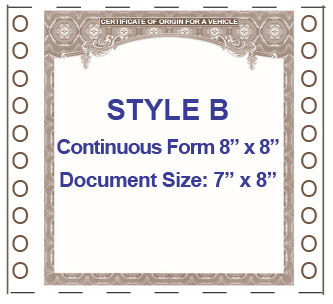 Please complete the form below and select SUBMIT at the bottom of the form. Is this your "Bill To" address also? 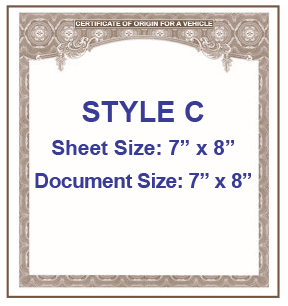 What is The Certificate Starting Number? 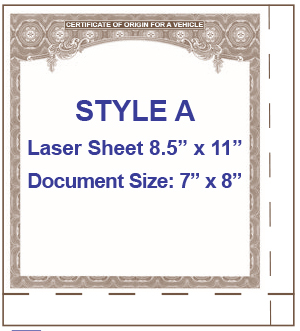 Style A - Sheet Size 8.5" x 11" - Document Size 7" x 8" Style B - Sheet Size 8" x 8" True Continuous Form - Document Size 7" x 8" Style C - Sheet Size 7" x 8" - Document Size 7" x 8"
Please provide a JPG, Tiff or PDF file at 300 dpi.